Scientists employed by Monsanto, Dow and other corporations are altering the genetic makeup of food plants, usually to withstand heavy doses of pesticides. Pamm Larry tells why she initiated the campaign to pass Proposition 37, Californians' Right to Know what's in our food. We get tips on how to determine the safety of foods currently on store shelves. Theme song is by San Jose WILPF's Raging Grannies. For information on the campaign see California Right to Know. See San Jose Peace & Justice Center Calendar for the next meeting of Women's International League for Peace and Freedom --San Jose Branch. Veggielution is a nonprofit community farm seeking to create a sustainable food system in San Jose. SJSU grads Amie Frisch and Mark Antonio Medeiros tell how they overcame obstacles to create this multicultural farm at Emma Prusch Park in East San Jose. Sharon McCray gives a brief overview of Santa Clara County's agricultural history. Investigative journalist John Gibler takes us inside the drug war in Mexico, revealing the facts behind the popularized versions of the violence. 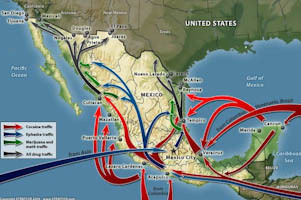 In Part 1, Gibler analyzes the $250 to 500 billion a year global business providing illegal drugs everywhere in the world. In the U.S., anti-drug policies have traditionally had racial motives, as detailed in Michelle Alexander's book, The New Jim Crow. In Part 2, Mexican journalist Diego Osorno reveals the war on narcotraficking as a ploy to consolidate the power of President Felipe Calderon -- a war that has escalated killings and crime without diminishing the availability of illegal drugs. Ted Lewis of Global Exchange comments on U.S. policies. Event on San Jose State University campus sponsored by Global Exchange, Cesar Chavez Community Action Center and Spanish for Activists at San Jose Peace and Justice Center. October's video from 48south7th.org takes us to the streets of San Jose and an imaginary courtroom to confront the historical roots of the corporate takeover of the US. Activists protested at the Santa Clara County Courthouse on the anniversary of the landmark case setting a "precedent" for corporate rights that have led to a takeover of the political system as well as the economy. In his play, "Judge Waite and Corporate Personhood," William Barrett of San Jose State University exhumes the chief justice to face charges. 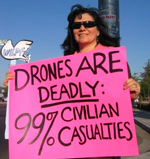 Medea Benjamin of Code Pink reveals the lie of drones as a "more humane" type of warfare. The "targeted" strikes kill children and families, teachers, village elders -- and are creating an ever-growing number of people aching for revenge. The Administration claims that Congressional approval is not needed since American lives are not at stake (drones are piloted from Creech AFB in Nevada or Hamilton AFB in New York). In the U.S., activists are organizing to oppose the introduction of drones to local police forces. Part 1 and Part 2. See San Jose Peace & Justice Center Calendar for the next meeting of Code Pink. 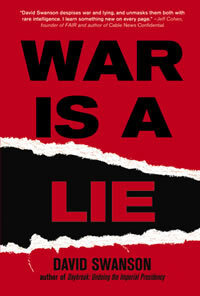 Medea Benjamin of Code Pink reveals the lie of drones as a "more humane" type of warfare. The "targeted" strikes kill children and families, teachers, village elders -- and are creating an ever-growing number of people aching for revenge. 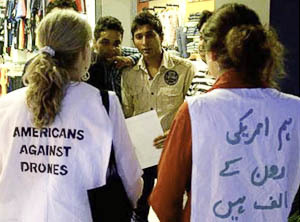 Includes REPORT BACK by Leah Bolger of Veterans for Peace on the 2012 delegation to meet with Pakistanis and with the U.S. ambassador. In the U.S., activists are organizing to oppose the introduction of drones to local police forces. See San Jose Peace & Justice Center Calendar for the next meetings of Code Pink, Veterans for Peace and programs on peace and justice issues. This edition is sponsored by the San Jose Branch of Women's International League for Peace and Freedom, a community partner or San Jose Peace & Justice Center. Through gritty anecdotes, former Marine Suel Jones describes his attempts to deal with PTSD after fighting in Vietnam in 1968, and his astonishment at the way he was received when he finally returned to that country decades later. He is embraced by former soldiers and the children he helps at the Friendship Village, where they are being treated for problems associated with Agent Orange. 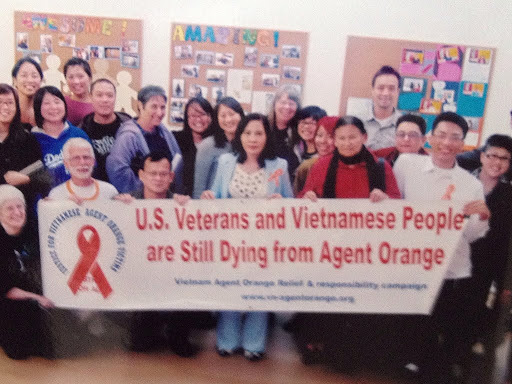 For more information, see vava.org.vn. Rev. Edward Pinkney tells a gathering at Silicon Valley DeBug, "My city was taken over by a dictator." Michigan’s Public Act 4 allows the state to send a non-elected appointee to take over a city, displacing the mayor and other officials. Pinkney traces the action to a struggle over lakefront land coveted by Whirlpool Corporation for commercial development. His warning: “The emergency financial manager is coming to your town!” is proving true for more cities in Michigan -- alas. THE VIETNAM WAR: Has It Ended? Sixties-era peace activists who traveled to Hanoi during the Vietnam war report on their recent return to Vietnam on the 40th anniversary of the Paris Peace Agreement. They reflect on their experience then, Vietnam today and the impact of the war on their lives and on the Vietnamese people. Judy Gumbo Albert was an original member of the Yippies in Chicago, 1968. 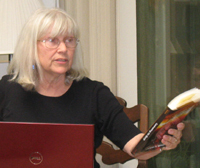 In 1970, Judy met with representatives of North Vietnam in Montreal, Stockholm, Paris and Cuba, and visited North Vietnam as part of a Yippie women's delegation. Frank Joyce was active in the People's Peace Treaty, the Indo China Peace campaign and traveled to Hanoi in the spring of 1970. He served for twelve years as the communications director for the United Auto Workers Union and is an award winning journalist in print, radio and television. Drawing on the work of economist Richard Wolff, co-author David Barsamian probes the root causes of the current economic crisis, its unjust social consequences and what can and should be done to turn things around. While others blame corrupt bankers and unregulated speculators or the government or even the poor who borrowed, the authors show that the causes of the crisis run much deeper. Peter Phillips, former director of Project Censored, tells how the corporate media work to keep the U.S. population in "an excited delirium of knowinglessness" through narrowing the coverage of important events, promoting misleading coverage and celebrity trivia. Topping the list of censored (under-covered) stories picked for the Censored 2012 volume -- More U.S. soldiers committed suicide than died in combat. 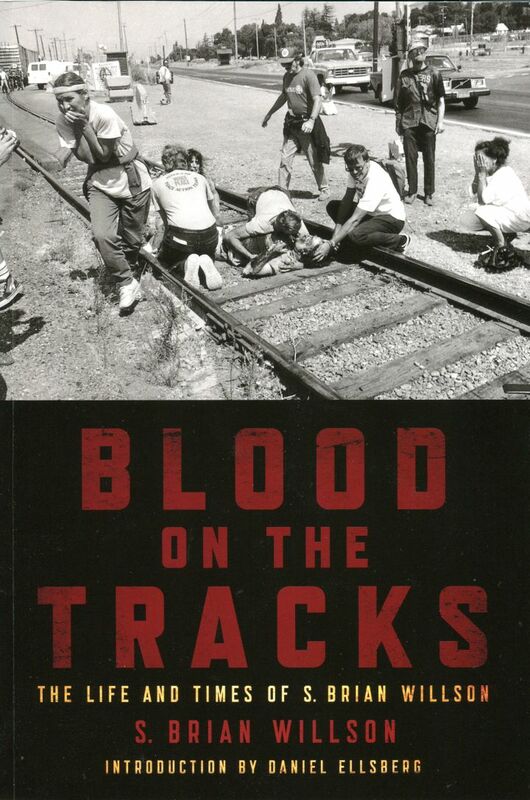 Blood on the Tracks recounts the life of S. Brian Willson. His story begins in small-town, rural America, where he grew up as a "Commie-hating, baseball-loving Baptist," moves through life-changing experiences in Vietnam, Nicaragua and elsewhere, and culminates with his commitment to a localized, sustainable lifestyle. Brian spoke and autographed copies of his book at the Peace & Justice Center. The title refers to the incident at Concord Naval Weapons Center, where a train ran over Willson, severing his legs as he and others were protesting U.S. involvement in Central America. Sponsored by Veterans for Peace, Code Pink, and San Jose Peace and Justice Center. Sun Suiying, granddaughter of Dr. Sun Yat-Sen, China's first president and the leader of the 1911 revolution, speaks about the three factors behind the successful overthrow of the Qing Dynasty and the expulsion of foreign powers. 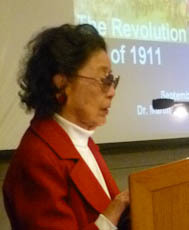 Ms. Sun tells of her grandfather's growing awareness of Qing corruption, the years of exploitation of China by European nations, Russia, Japan and the U.S, and the crucial support by overseas Chinese for the revolution. 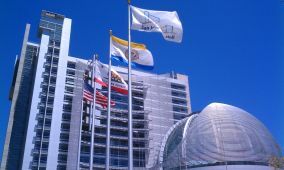 In the spring of 2011, conflict between the City of San Jose and its employees erupted over how to resolve the city's $115 million deficit. Mayor Reed and some council members are proposing declaring a fiscal state of emergency and putting a measure on the ballot to trim pensions and undermine collective bargaining. We hear from city employees and members of the community. Edge for Economic Justice looks at alternatives to solve the budget crisis. 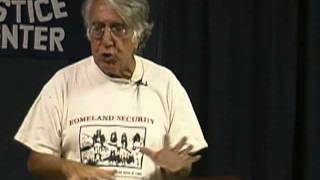 Author Michael Parenti challenges his audience to learn about and advocate free speech in the face of oppression. From the origins of the Bill of Rights up to today's challenges by the FBI and other government entities, Parenti says, it is essential to stand up for one's rights. 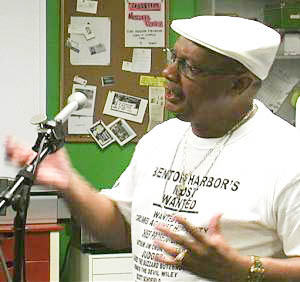 He spoke at an event sponsored by the South Bay Committee Against Political Repression. 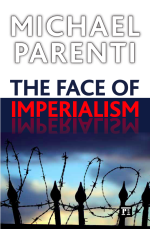 See michaelparenti.org for more information. Pavel Nunez brings word from the streets of San Pedro Sula, where his musical group Cafe Guancasco was attacked by police and their equipment destroyed. Entrevista en espanol, with English subtitles, plus his lively performance of "Calle Goldin Meyer." "El amor esta in tu boca" and "Camila." Trumpeter Tony Perez gathers friends from South Bay Folks to play some of his new songs -- and their own. Alesandra Valenzuela leads with "Bird on a Wire" and the dynamic "Planetary Escape." Lori Ludy follows with "Feel the Beat." Tony's "Kookaloo" and "Kookaloo Baby" bring together Lalo Reyes on drums, Mari Aranoff, Robert Raym, David Becker, Benda Paddon and Harry Yeager on instrumentals and vocals. For background and a calendar of upcoming events, see South Bay Folks. Gerardo Torres describes how the various sectors of Honduran society have mobilized since the 2009 coup that deposed President Manuel Zelaya. Their goal has been transformed from seeking the restoration of the Zelaya goverment to organizing and working toward a transformed society. Representatives from all the departments will gather for a convention later this year to work on a new constitution. For updates see resistenciahonduras.net and the realnews.com. Author Kim Bobo reveals the ways employers keep workers from receiving a fair wage. Whether failing to pay minimum wage or overtime -- or committing outright fraud against the government by misclassifying as "independent contractors" workers who are clearly employees -- they are stealing, says Bobo. 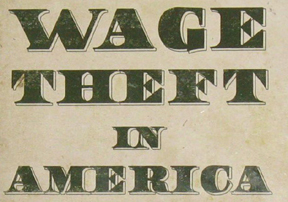 The title of her book is Wage Theft in America: Why MIllions of Americans Are Not Getting Paid -- and What We Can Do About It. When economics teacher Masao Suzuki was approached at his San Jose home by an FBI agent, he declined to be questioned. At the same time, 23 peace, union and international solidarity activists in the Midwest received subpoenas to appear before a grand jury. Hatem Abudayyeh came to San Jose to share his experience in a talk at the Arab American Cultural Center and in an interview with 48south7th. For updates on a national campaign to protect rights, see StopFBI.org. For information on the South Bay Committee Against Political Repression or to request a Know Your Rights program by the National Lawyers Guild, contact San Jose Peace & Justice Center, 408-297-2299. In talks at San Jose Peace & Justice Center and in Santa Cruz, historian David Swanson revealed the truth behind the lies that led to the wars held sacred by many -- the American Revolution, the Civil War and World War II. He welcomes the WikiLeaks' revelations as more information showing the actual (as opposed to the purported) reason for current U.S. military adventures. 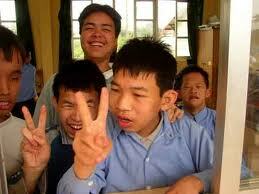 Meanwhile Bradley Manning is held in solitary confinement, and Julian Assange faces extradition. For more information, see warisalie.org. 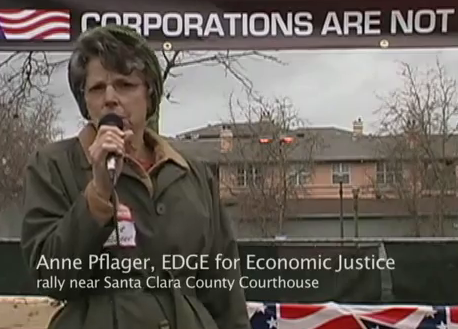 This edition is sponsored by the Edge for Economic Justice, a community partner of San Jose Peace & Justice Center. Health Care for All California-Silicon Valley meets in Santa Clara. This concert in Teamsters Hall was a benefit for San Jose Peace & Justice Center. "You don't have to be a rocket scientist to oppose a rocket launch." Keep Space for Peace is endorsed by Women's International League for Peace and Freedom, a community partner of San Jose Peace & Justice Center. Napalm Ladies What does it mean to live in a country that violates international law? What is one's personal responsibility?